Would you like to travel to Rwanda as a tourist or for any other purpose? If so, then you need to apply for a Rwandan visa to be able to visit the country. As Rwanda is not on the list of visa free countries for Nigerians. Having said that, an important information you need is about the Rwandan visa fees. This page will provide you with vital information you need to pay for your visa to Rwanda. Most especially details on the Rwandan visa fees for Nigerians. As well as the methods of payments. How much is Rwanda visa fee in Nigeria? Usually the requirements for Rwanda visa is different based on the duration, number of entries and type of visa you wish to apply for. Also, the visa application fees are different for the same reasons. On this page, you will find the details of visa application fees for the different types of Rwandan visa available to Nigerians. As well as the method of payment of the visa fees. Tourist visa: the tourist visa is issued to individuals who intend to travel to Rwanda for the purpose of tourism, holiday or to visit friends and family. The tourist visa can be applied for at the embassy in Nigeria or processed at the point of entry in Rwanda. The cost of Rwanda Tourist Visa fee for single entry is $30 or ₦10890.00. On this class of visa, you are allowed to enter into Rwanda only once during the validity period of your visa. For multiple entry, the cost is $50 or N18,150.00. An holder of this visa type can enter into Rwanda multiple times within the validity period of the visa. Note that since the tourist visa may be processed on arrival at Kenya. This means you can make payment at the point of entry while your visa is being processed. However, if you are applying at the embassy, you may make your payment there as well. 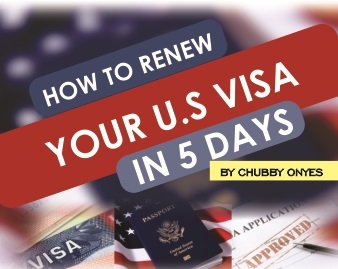 The processing period is the time it takes for your visa to be ready after you have finished the application process. The processing period of the tourist visa is usually fifteen (15) working days. However, it is also possible to speed up processing time of the tourist visa to about five (5) business days. The validity period of the tourist visa is usually 30 days. The Business visa: this type of visa is for those travelling to Rwanda for business , entrepreneurial or trade activities. The cost of Rwanda Single entry business Visa the same as that of the tourist visa single entry which is $30 or ₦10890.00. The processing time of this type of visa is usually fifteen (15) working days. However, it is also possible to speed up processing time of the business visa to about five (5) business days. The validity period of the Business visa is usually 30 days. Medical visa : for those who intend to travel to Rwanda to seek medical services of or consult with a medical personnel in Rwanda. This could be in a private or public heath facility . The cost of Rwanda Medical Visa fee for single entry is $30 or ₦10890.00. Usually, the Rwandan visa can either be paid online or at the point of entry. 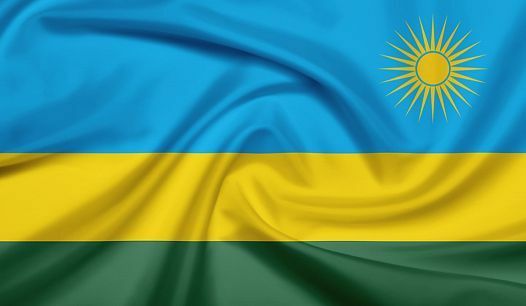 It was stated by the Rwandan Immigration authorities that beginning from January 2018, visa applicants from Nigeria may pay the Rwanda visa application fee at the port of entry in Rwanda. The Rwandan Visa application fee is the amount charged by the Rwandan immigration authorities for the processing visa requests. This fees also includes the cost of granting visas to applicant. The Rwandan visa application fees is non-refundable. Usually, once a Rwandan visa applicant makes payment for the Rwandan visa fee, he or she can no longer get a refund no matter the outcome of the application process. The Rwandan visa application fee will not be returned regardless of whether a visa was granted or denied. However, if you have issues with payment or want to know more about the Rwandan visa application fees refund, You can visit the Rwandan embassy or contact them via email. Furthermore, getting a visa before traveling is usually strongly recommended. This is because the Rwandan Immigration Authorities reserve the right to accept or deny any applicant a visa for any reason. Therefore, it will be a loss to travel and eventually not get a visa. Also, Rwandan Visa applicants are advised to hold some extra amount , minimum of N5,000 in the case of exchange rate differential. On the processing period of visa, the average processing period is fifteen(15) days. However this may vary depending on the conditions surrounding individual application. For instance, an applicant who did not submit all required documents may have a delay as the application will not be processed until all documents required are complete. Finally, it is advised that you do not obtain airline tickets or make any reservations that are non-refundable until your visa has been granted and handed over to you . As this may lead to loss of funds in the case where an applicant’s visa is denied.